I’m goofy. I’m a free spirit. A bohemian. Usually I don’t give a damn about what other people think about me. But sometimes I’m an idiot and I care. I like to think that I skip to the beat of my own drum, I do not mean to offend anyone. Having said that, I’m very opinionated. This is where it becomes a bit of a tightrope. On the other hand, I’m very insightful and sensitive. A complex human being. So while I was torturing myself (and asking for forgiveness), I was naturally drawn to working with certain rocks. But I didn’t know it yet. I picked up a couple of “matched” cacoxenite rectangular cabs, (Cacoxenite: spiritual awakening, alignment and self awareness. Brings wisdom, ideas and creativity) and proceeded to crack one and completely break the other. Sacrebleu. Cacoxenite is a rare (code for expensive) beautiful quartz, usually amethyst, with gorgeous inclusions that flash yellow/orange. It is used for world meditation to increase spiritual awareness. Obviously the (um, MY) spirit was in need of some more work. Just because you think you know the lesson, and can regurgitate the words, until you internalize and come to an understanding, you are going to continue to break stuff. Like rocks and relationships. Personal growth is such a pain in the you know what. Did you think I knew what cacoxenite was for when I bought the rocks? Of course not. After I broke the cabs, I did a little research initially to find out about cleavage (no, not THAT kind) and instead found it’s healing properties. Now I know that this borders on the new age hocus pocus magical (wishful?) thinking and irrational. Maybe so. But it was the kick in the head that I needed. I went off and did some serious work on my “inner” self. Then: I took out the only two other pieces that I had, took a deep breath and set them and they didn’t break. Read what you will into that. I added a couple of amethyst drops. (Amethyst: spiritual contentment, protection, peace). Did you know that the word “amethyst” literally means “not drunk”? Traditionally it was used as an antidote against drunkenness, which is why wine goblets were often carved from it. (Drink all you want from them and you won’t get drunk!) Now it’s used for help with addictions(!). 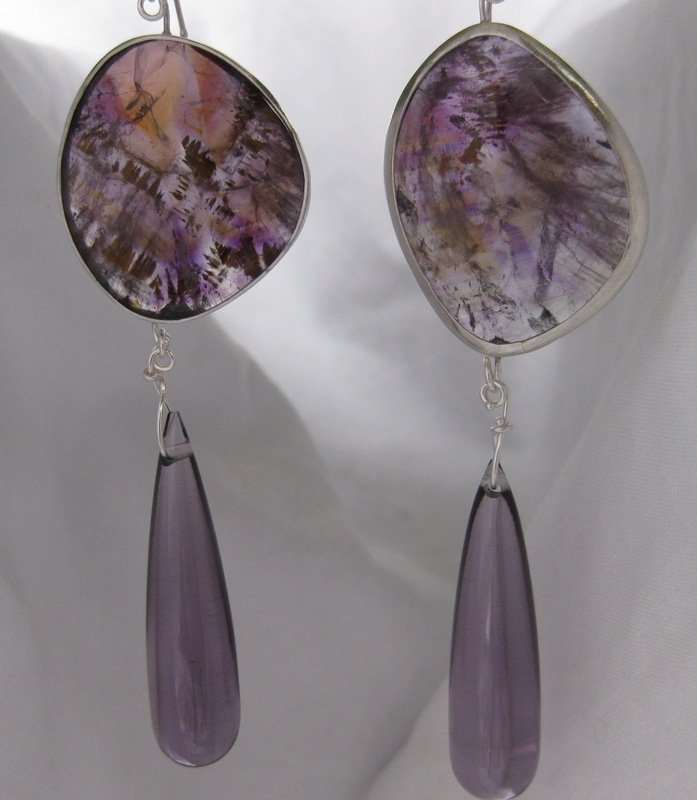 Leonardo daVinci wrote that amethyst “dissipates evil thoughts and quickens the intelligence”. Coming from one of the greatest minds ever, I’m OK with being accused of being hippy dippy about this. Since I was already doing research, I thought I’d check out a few other “hunches” that I had. I make a less expensive line of pearl earrings. Recently I thought I should figure out how to promote them for the bridal market (“Bridal” was a very big theme in Tucson this year. They even had seminars on how to deal with couples etc). I can do them in a variety of colors, and they’d be great for bridesmaids. Here’s a couple of earrings that I can make limited batches of, and here’s what they MEAN!! 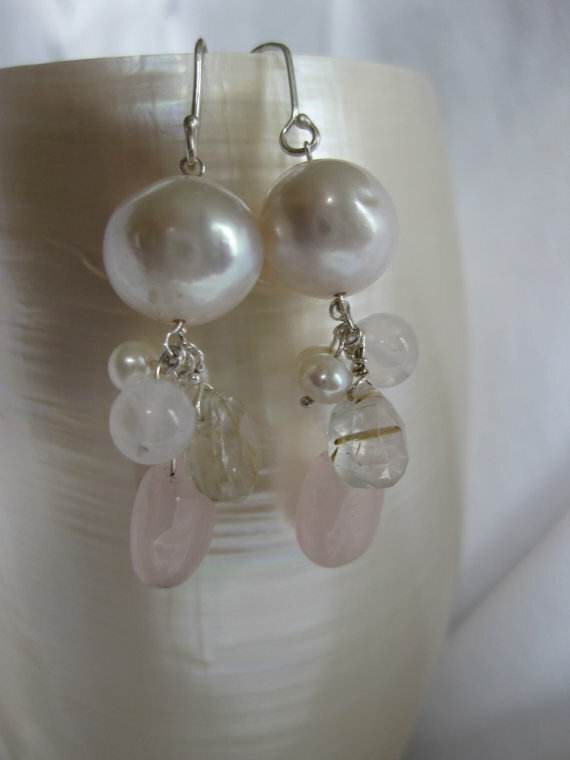 Pearls with rose quartz and rutile quartz: The pearl is the symbol of purity and innocence. Rose quartz is all about LOVE!!! 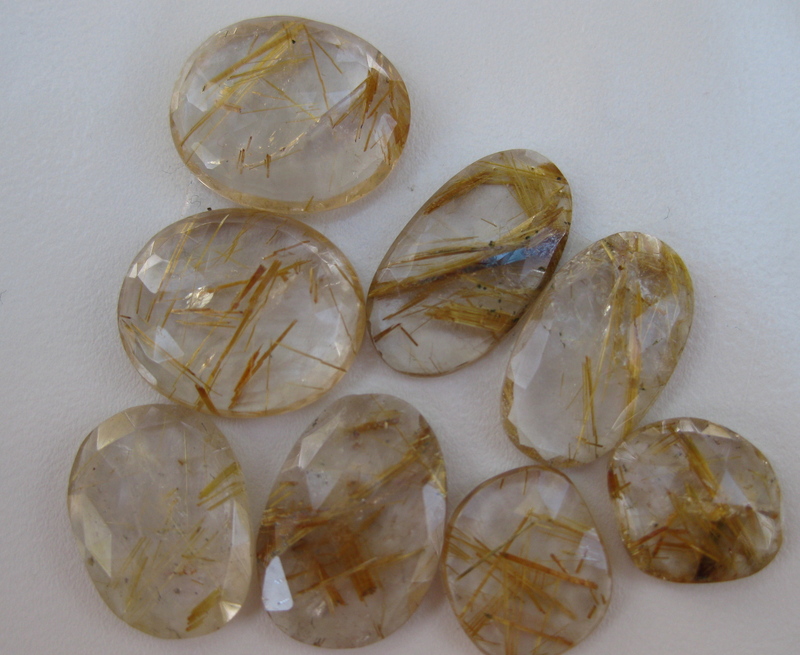 Rutile quartz (AKA Cupid’s darts, Venus Hair Stone or Crystal and Fleches d’amour, which translates to “arrows of love”) attracts love and stabilizes relationships. I am sooo insightful and sensitive. After the gem buying bender in Tucson, I couldn’t wait to get home and start working on my new bijoux. I had visions of fomulations that really didn’t work, or terrific ideas, that, like a dream upon waking, were snatched from my little brain as soon as I made a change on the “drawing board” (I obviously have a short attention span). 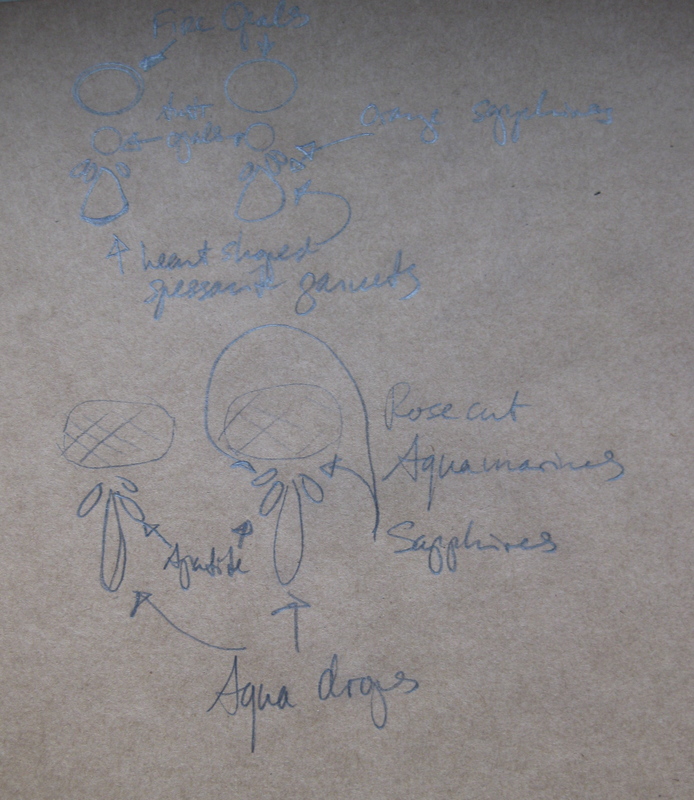 Plus, it’s not a real drawing board. I just dump down a bunch of rocks and start playing with them. Even then stuff gets rearranged. Plus the things that you thought you would gravitate to right away (I’m thinking Italian cameos here), don’t come out first. If at all. The thing that I’ve learned, is that sometimes stuff has to sit around for awhile before it finds a worthy fit. And sometimes, as in life, you can wait a long time for Mister or Mrs. Right. The first thing I wanted to work with was a fossil. Go figure. 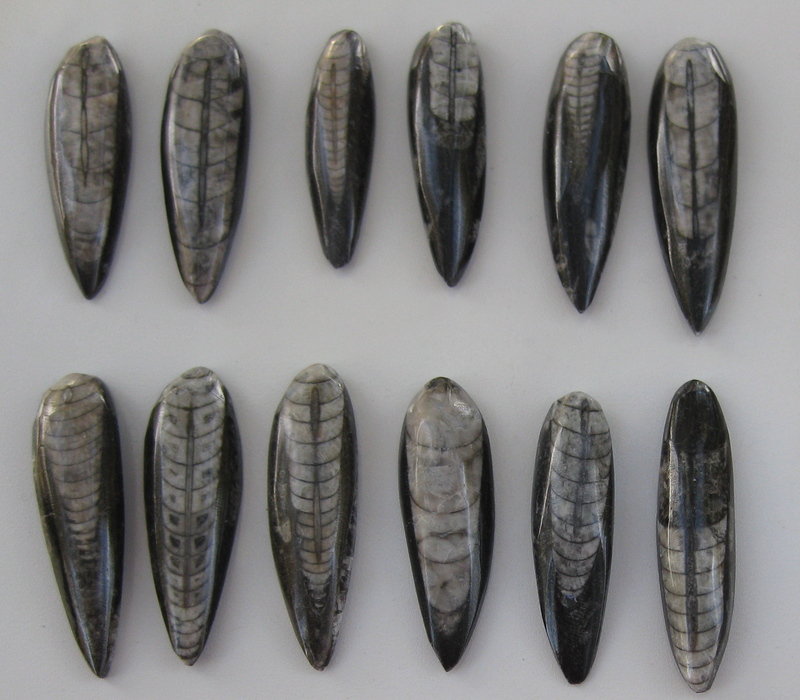 I have rubies and sapphires, diamonds and opals… I pick up the orthoceras. To be fair, I added a couple of yellow sapphires. Because it just “felt” right. That’s because I am not really visual. 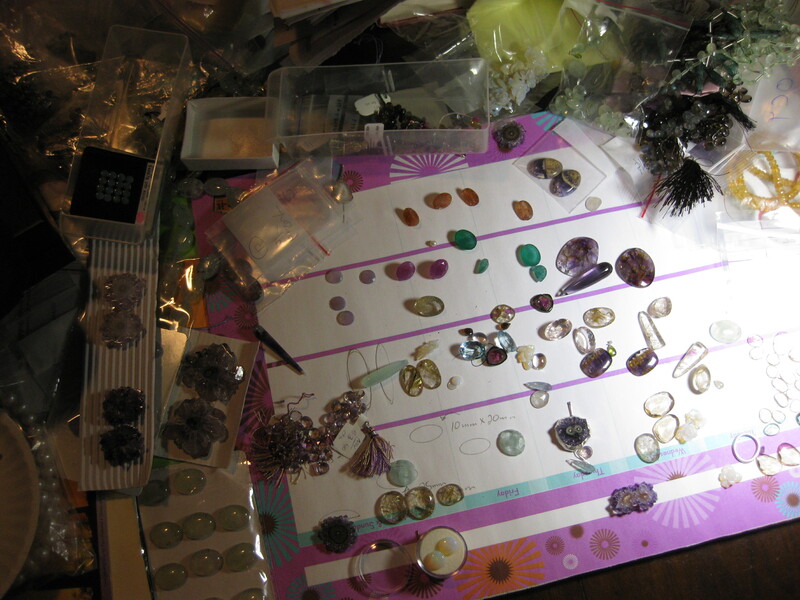 I know I know, how can I not be “visual” when I’m a damn jewelry (“jewellery” for my Canadian friends) designer? Like most people, I’m a mix, but the visual thing is at the bottom of the list. If you haven’t heard that you are more prone to learning by using one sense over the other, it’s basically this: you learn and express yourself either visually, auditory, or kinesthetically. Sight, sound or feeling. How do you know? There are tests for this (go online), often it’s taught at sales meetings so that you can learn to “relate” to people with a different mode of learning/understanding. But I digress. For me, jewelry has to “feel” right. 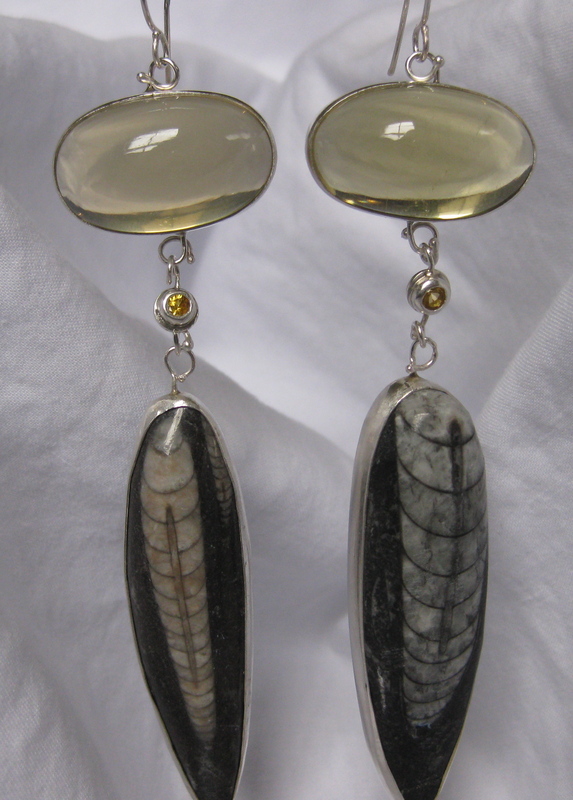 Orthoceras with lemon quartz and yellow sapphires. I don’t think I can do a “line” with the orthoceras. At 4 inches in length, they are definitely show stoppers, but I don’t think I have enough flashy diva clients. (Note: Please forward this to all your flashy diva friends. Thanks). Up next: Stactalites. Now, these might work for a lot of things, and they are hard enough to put into a bracelet or a ring without suffering too much damage from normal wear and tear. 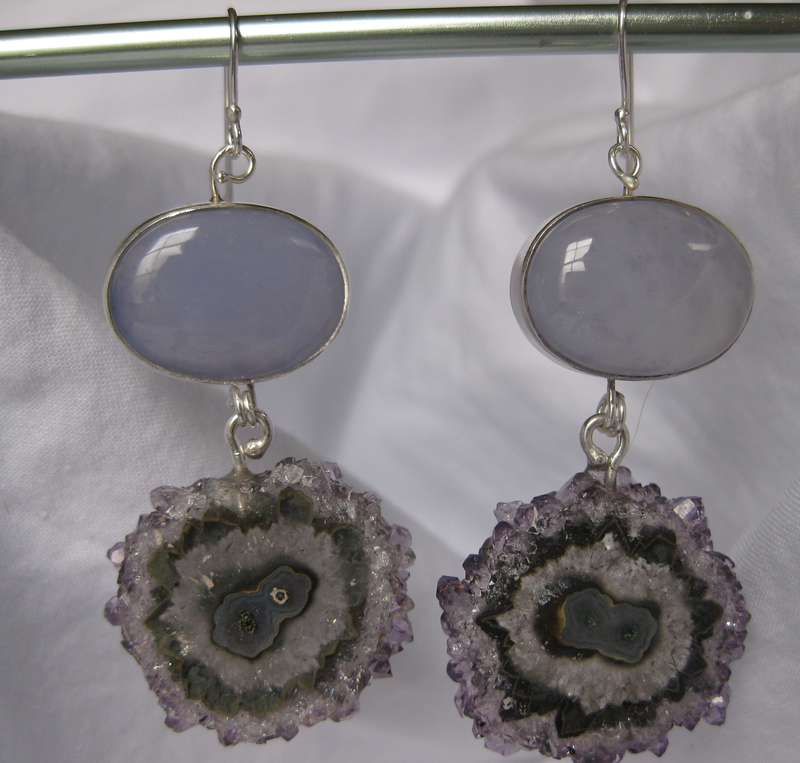 Chalcedony and stactalite drop earrings. 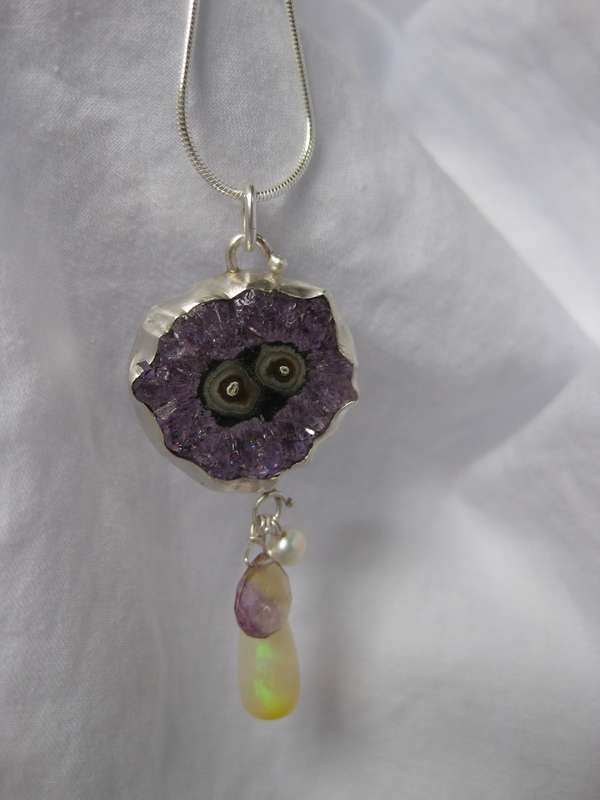 Stactalite pendant with Australian Opal drop, ametrine briolette & pearl. I’ll have to schedule that in, because I’m getting more and more distracted by rose cuts. Rose cuts were a popular cut from the 16th century until the early 1900s, they fell out of favor when the flashier cuts came on the market. For the longest time, you were only able to find them in vintage pieces, but they are making a comeback in some new jewelry too. 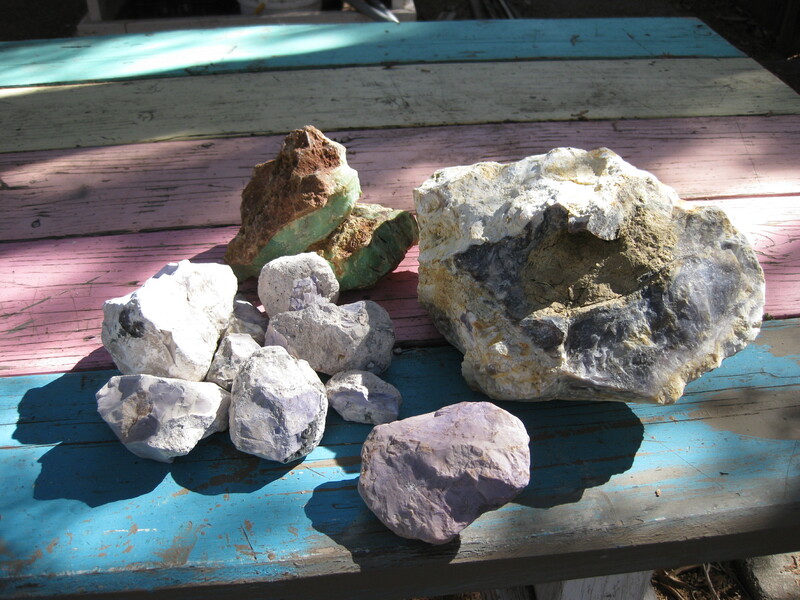 The rocks I’ve been hankering for aren’t really rose cuts, I guess the kids just don’t know what to call them now. 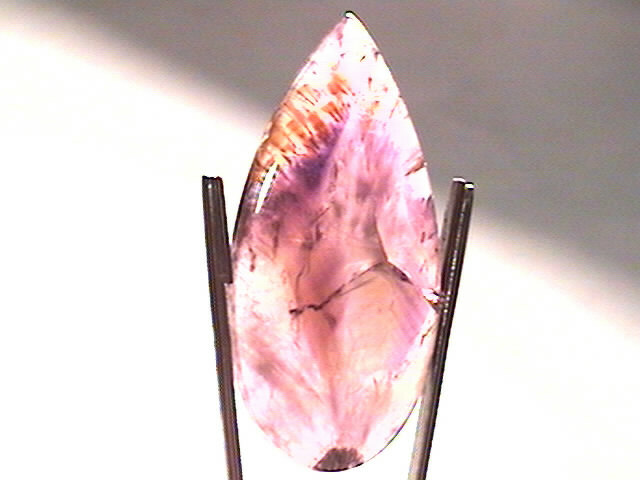 They are usually free form shapes, with rose cut like facets on the top, to catch the light. I love them. 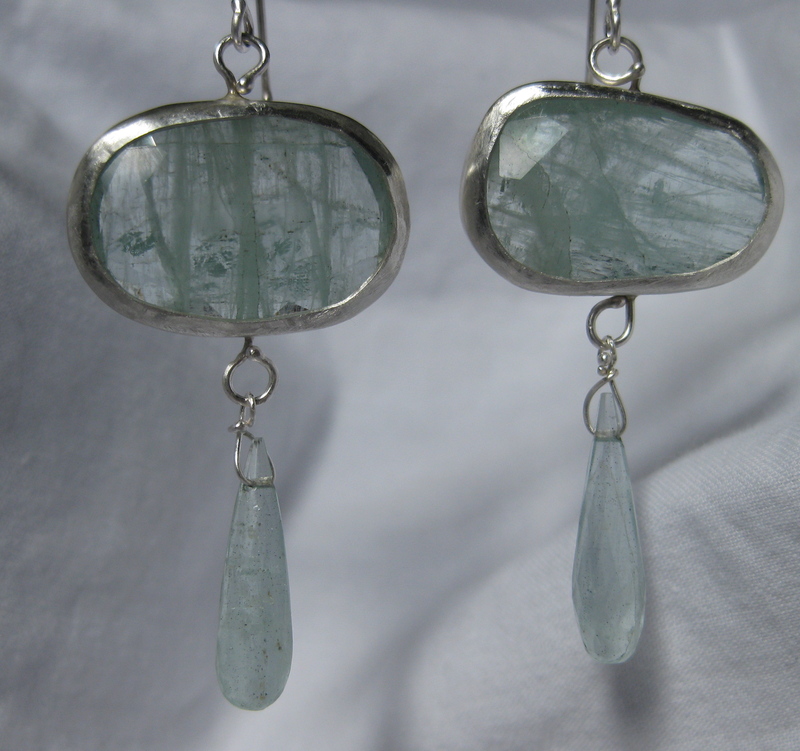 Rose Cut Aquamarine Earrings with Aquamarine drops. 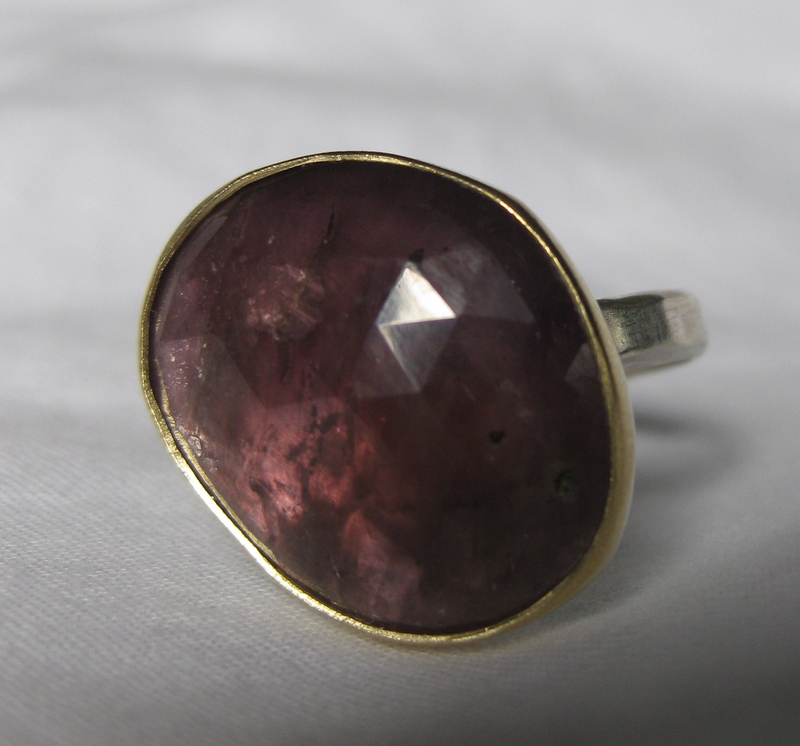 Rose Cut Umba Sapphire Ring. 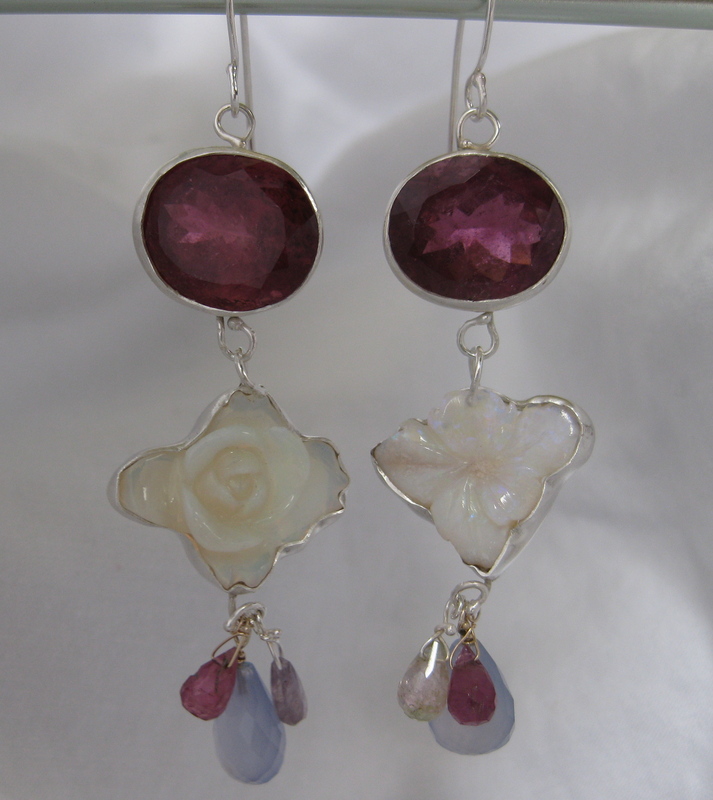 Tourmaline Earrings with Opal "Roses". Almost as good as that proverbial “bed” of roses! I am so very very lucky that I have a place to crash when I’m in Tucson AZ. I have become a serious rock fanatic. At present, here’s nothing else I’d rather spend time, money and energy on. The place for me in the dead of winter is Tucson. I began the last week of January with a long road trip. My usual stops are Austin or San Antonio TX. Then a night in Marfa (population 2100; a concentration of really good restaurants, plus a couple of cool “boutique” hotels, and a lot of art galleries. In the middle of nowhere – who knew? I knew). The road is long and boring. 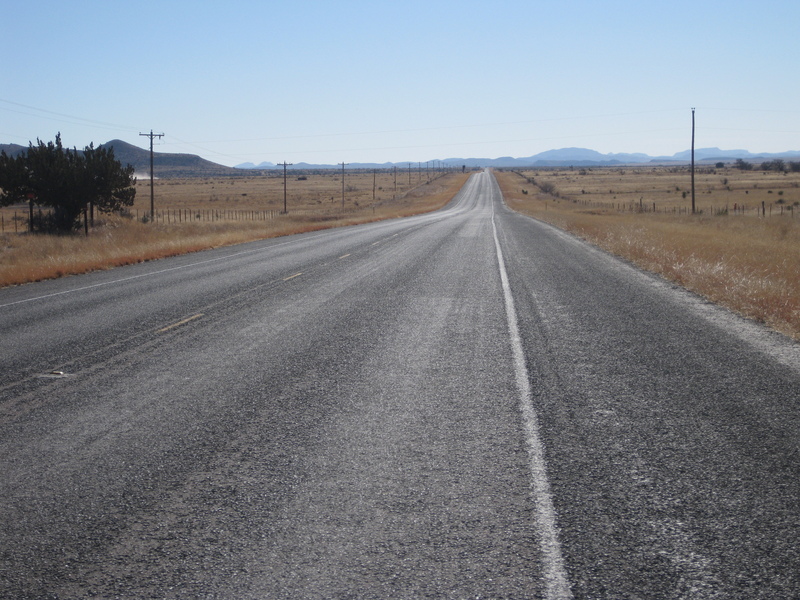 The only bonus besides a stop in Marfa, is the 80 mile an hour speed limit in most of Texas. Finally I arrive in Tucson. I’m a day early (which explains the shoes). The vendors begin setting up. The next day, I find myself hanging around the fossil/mineral/geode exhibits (you can also buy meteorites). I end up with some very nice orthoceras, ammonites and baby geodes. More shows open. I buy more cool stuff. Then the BIG shows open and I get serious. 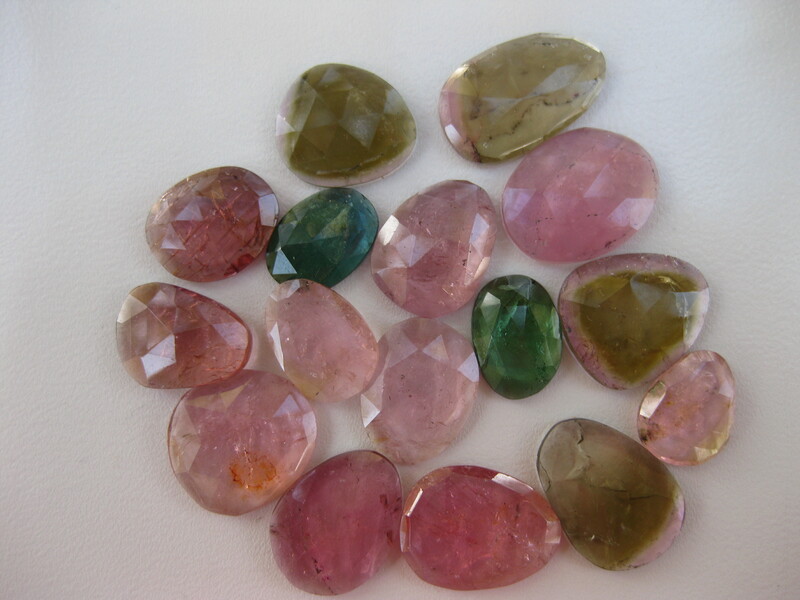 For days and days I look at batches of tourmalines, rose cut sapphires, gorgeous rutile quartz (Yay!) strands and strands of all kinds of precious stones in all kinds of shapes and sizes, pearls, and handfuls of little itty bitty stones for accents. It’s too much. But it’s not enough. I have to choose, I can’t have it all. Plus, I can’t find the drops I want. I end up at the rough rock areas. Buying pounds and kilos of rough stuff. Bargaining with guys that can’t speak English, borderline barbarians and gentle touchy-feely eccentrics. I haul the rocks for what feels like miles back to my car. (Of course when I’M ready to go, there’s no shuttle in sight, the parking lots are bigger than the shows, acres and acres of cars and usually there are a lot of shuttles). My back and shoulders are killing me. Some days I wake up and wonder what the hell I’m doing. Is any of this going to amount to a hill of beans? Because I decided that I have to have some stupid shape?? I’m giving a small fortune of rocks to a stranger who’s going to take it halfway around the world and cut it up? I have visions of little kids squatting over lap wheels, ruining their little hands. He swears up and down that his workers are treated well. There is no child or any other kind of abuse, it would not be tolerated. I’m skeptical, yet he convinces me. 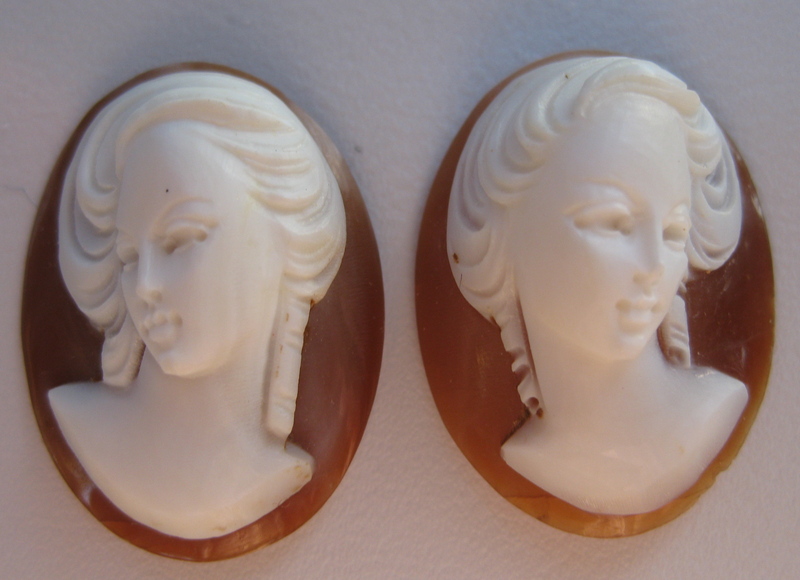 I have never had an opportunity to acquire a parcel of such wonderful unset cameo pieces. 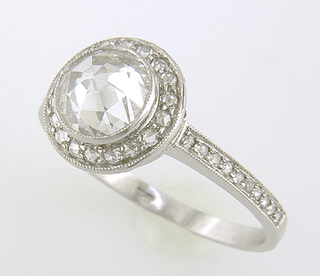 They were brought to the US over 60 years ago by the dealer’s father who started a jewelry business in New York. I went through the batches and wept. It’s over. The intensity has overwhelmed me. I’m exhausted. Can things get any better? Of course they can! My nephew’s wife Stepha is the best massage therapist in town. She soothes my aching bones and I make plans to head home. Thank you. I am so very very lucky. 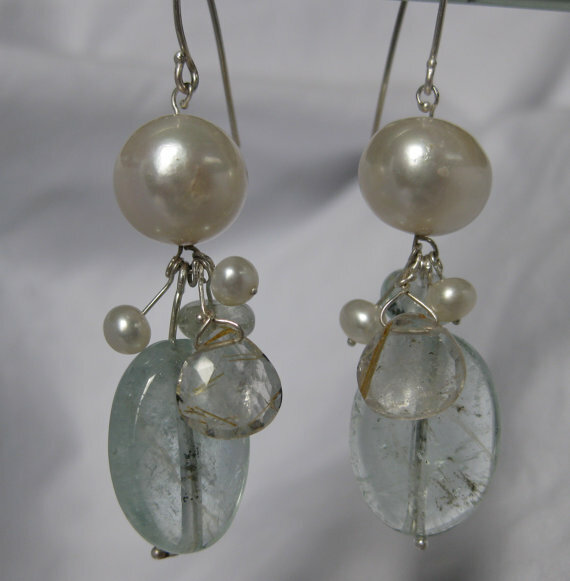 You are currently viewing the archives for February, 2012 at ledajewelco.